It's so exciting, isn't it? There are so many things to discover and learn about your future spouse, and you have the incredible opportunity to work side by side in planning your Wedding day. What a great chance to collaborate and make something awesome! 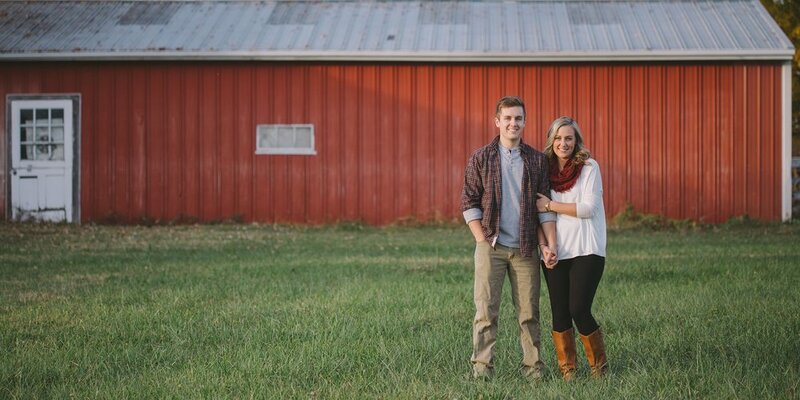 In North American culture, many celebrate getting engaged by hiring a photographer for engagement portraits. This is a time when we go out to a local park or urban area and spend a bit of time getting some awesome photos. The whole point of this photo session is to show the world how in love you are and what your relationship is all about. This is a great time to really "let loose" and just be yourselves! Many couples like to include personalized elements in their engagement portraits that represent shared interests or hobbies. 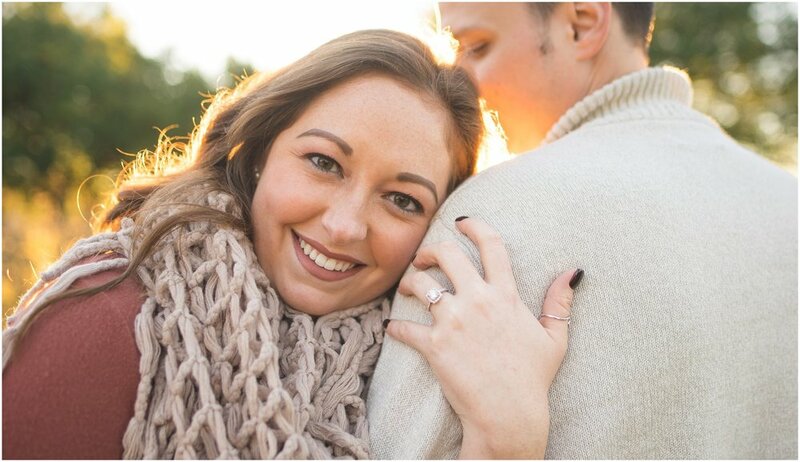 Engagement portraits are commonly used for Save the Dates, Wedding Invitations, decorations at your wedding reception, centerpieces, and more. 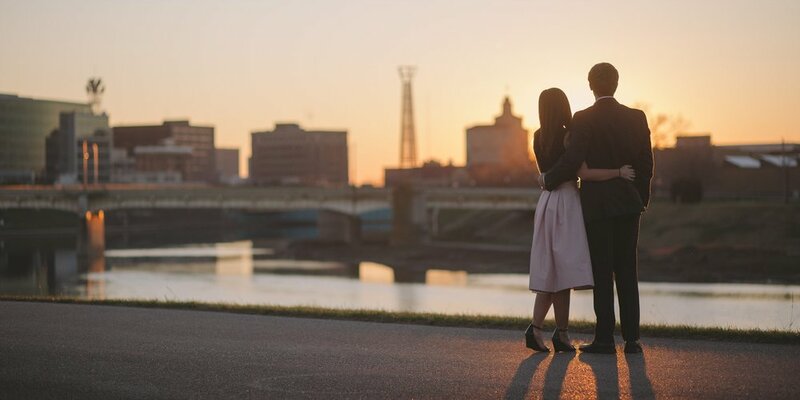 The engagement session is a great opportunity for you and your spouse-to-be to feel more comfortable working with a photographer. 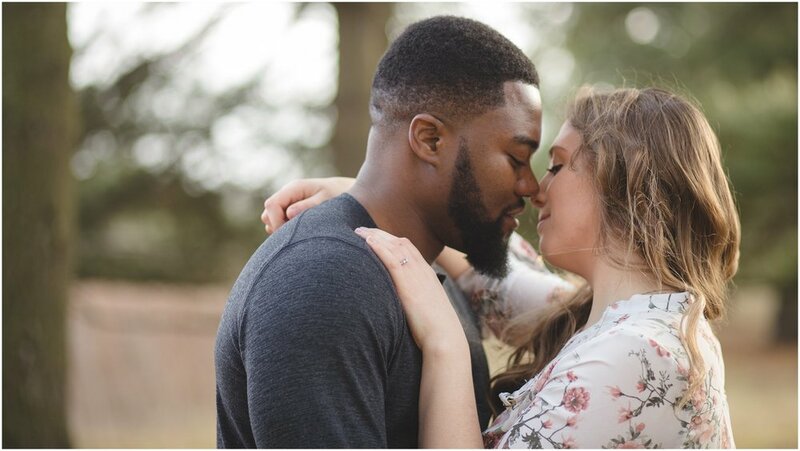 You see, it's very natural that you might feel awkward in front of a camera, especially when the photographer is asking you to snuggle, flirt and kiss in public! As we work together, and you see the images we create, you will become more relaxed and comfortable. In my experience, it's much easier to work out the kinks and learn how to work with your photographer BEFORE the wedding day. More relaxed = better images! Ready to get started? Click here and let's talk!